Interacting with other people can be a struggle for autistic children and adults — reading facial expressions and making eye contact are just two of the challenges they face. From parents’ perspectives, the barrier is especially difficult to bear as they try to connect with their kids. 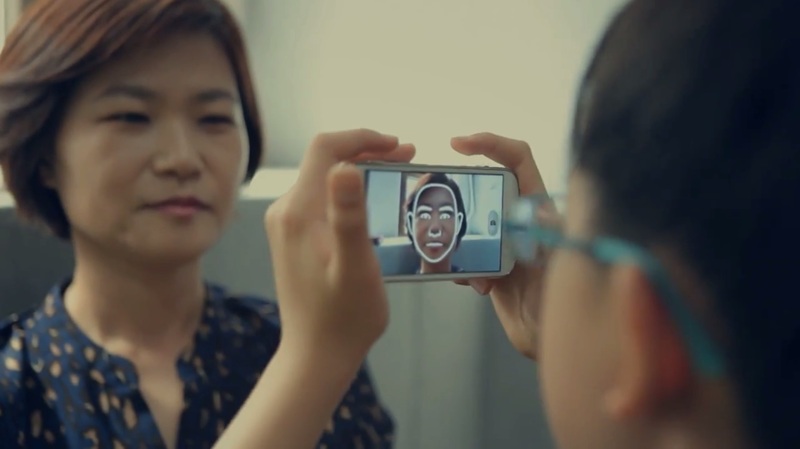 In an attempt to help bridge this gap, Samsung and creative agency Cheil Worldwide teamed up with Seoul National University and Yonsei University to create “Look at Me,” a tech-based training tool. Experts in the field worked with user-experience designers to develop a reward-based smart device application for autistic children to play with. The kids are tasked with completing seven missions designed to help them express their emotions, interpret facial expressions and work their way toward making eye contact. Much like a video or computer game, each successfully-completed assignment results in a prize, including points, rubies and character cards. The app, available on Google Play, was originally tested by 20 children for eight weeks. Post-program surveys filled out by parents indicated that 60% of the kids showed improvement in making eye contact.